and they will have the black mortar trails on them while thrown. 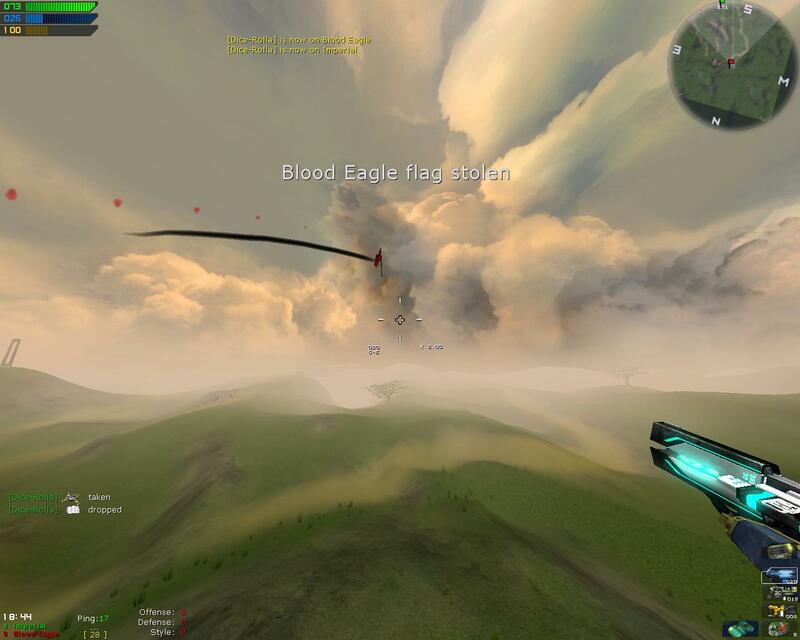 Now the "LocationOffset=(X=,Y=,Z=0)" can be played with to change where they come from right now with what is explained above they will emintate from the center of the pole not the top like the smoke. I suggest going to the smoke block, and robbing those offset values if this bothers you. it's just an x 15 value. now you could go and assign bodeansfx.bluemoratr to imperail, yellow for phx and red for be if you so choose. I havn't gotten to try these with other players yet but I imagine that it's fine and it's easy enough to go back find these and delete them if you would like. also if anyone can help me figure out how to skin the blaster projectile that would be greatly apprichiated I'm still not sure whats going on with that I am having serious difficulty with it. according to some testing by skeptic he only has to replace the top on to get it working. Last edited by DiceRolla on Thu Dec 17, 2015 1:07 am, edited 1 time in total. 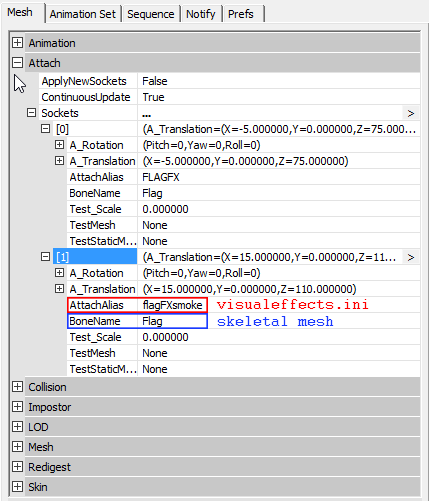 Just to clarify, both the FlagFX and FlagFXsmoke aliases are attached to the root bone of the flag's skeletal mesh, that point is right on the flag pole in the exact middle point of the flag. 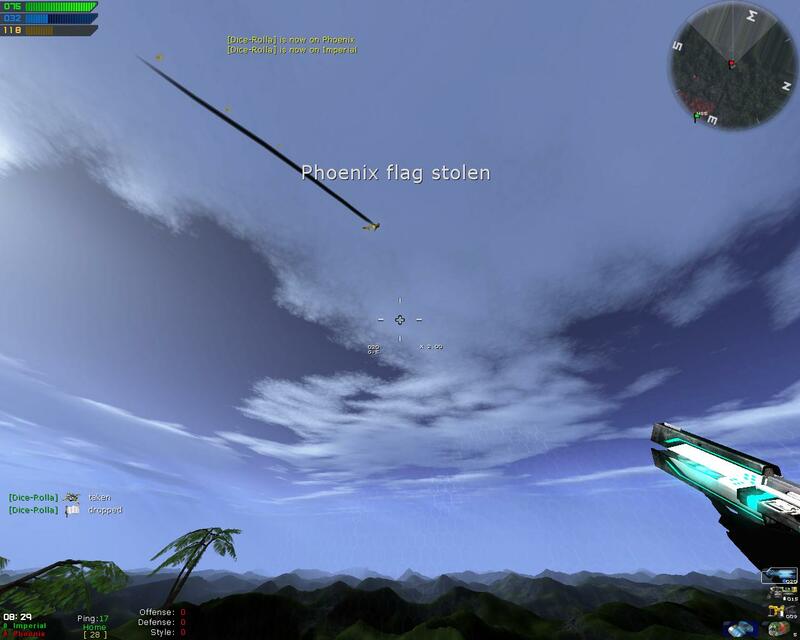 The offset controls distance from this location. The y=15 offset on the smoke raises the emitter up 15 units so that it emits from the top. 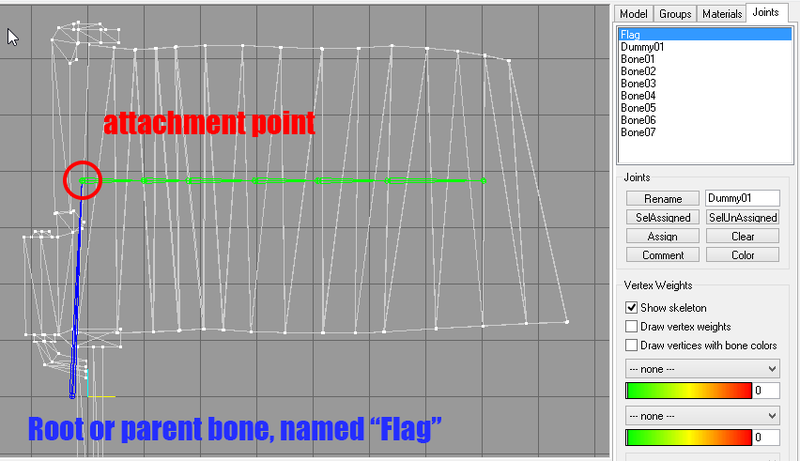 Skeptic wrote: Just to clarify, both the FlagFX and FlagFXsmoke aliases are attached to the root bone of the flag's skeletal mesh, that point is right on the flag pole in the exact middle point of the flag. 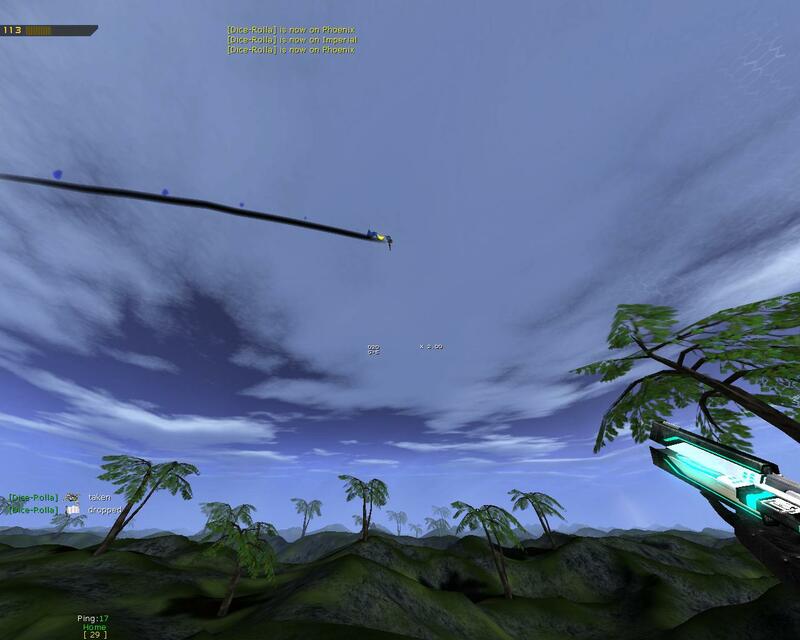 The offset controls distance from this location. The y=15 offset on the smoke raises the emitter up 15 units so that it emits from the top.